Many changes occur in your body when you are pregnant, and it’s important to be aware of what’s going on, so you can let your doctor and dentist know when something is strange. Dr. Guthrie of James River Family Dentistry wants to remind you that continuing with regularly scheduled dental care during your pregnancy is crucial to the health and well being of you and your baby. Many women stop dental care during pregnancy, believing it is unsafe for the baby; however, it is actually better for your health to go to the dentist more often so that any oral health problems can be addressed quickly, leading to an overall healthier mother. With pregnancy comes different amounts of hormones, and different amounts of hormones can cause changes in your oral health. Pay attention to your gums. Are they red, swollen, or bleeding? Let your dentist know about this problem. Also watch the amounts of plaque build-up on your teeth. It could increase during pregnancy, causing bigger problems down the road. What can you do differently to take care of your teeth during pregnancy? If your gums are red and swollen, switch to a softer toothbrush. Increase the number of times you brush daily. If you already brush in the morning and evening, add a third time after lunch. Make sure you floss! Floss takes care of the in-between spots toothbrushes can’t reach. Keep going to your regular check-ups. Let your dentist know what month you’re in, and be sure to mention any changes in your teeth and gums. Also make your dentist aware of any special instructions your doctor has given you. X-rays of your teeth are safe! The apron that covers your abdomen during the X-ray will protect the baby. 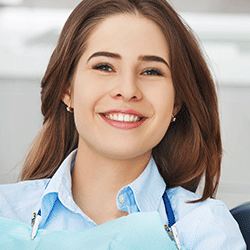 Dental procedures, such as filling a cavity, are also safe. Dentists recommend scheduling these procedures for the second trimester when it will feel most normal to sit in the dentist’s chair and have someone working in your mouth. Do you have the type of morning sickness that causes frequent vomiting? Protect your teeth from stomach acid by rinsing your mouth with a mixture of water and one teaspoon baking soda. Does brushing your teeth make you gag? Hang in there. Make an attempt to keep up your brushing schedule. Try a different flavor of toothpaste or a different size brush. It’s okay to just rinse and come back later to try again. Check your toothpaste to see if peroxide is an ingredient. Peroxide could be harmful to the baby, so use a peroxide-free toothpaste to be on the safe side. Eat a balanced diet. This is important for both your teeth and the development of your baby’s teeth. If you’re not already taking prenatal vitamins, then make sure you’re getting enough calcium and Vitamin C.
As with all aspects of your pregnancy, it’s important for you to take care of your oral health so your baby can grow strong and healthy. If you have questions concerning your teeth and gums during pregnancy, speak to Dr. Guthrie during your next scheduled dental appointment at James River Family Dentistry. Your dental health and your overall health is important to us!